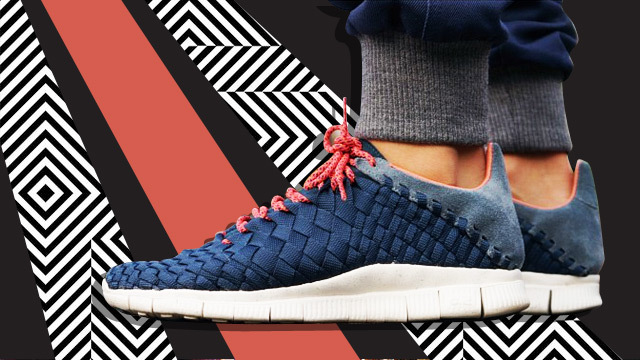 Are you pairing your joggers with the right kind of sneakers? Jogger pants are the latest craze in men's fashion. They're basically jeans with the bottom openings fitted with an elastic band, falling just right above the ankle. Unlike track pants of the past, they aren't primarily made for jogging but for showing off fancy shoes. This takes away the tragedy of having great kicks ruined by long, baggy or let's just say terrible pants. But that doesn't mean you can wear any shoes you want to pair with joggers. Not all sneakers look great with it. You're not a serious sneakerhead if you don't have a pair of Jordan 1s. Add a touch of denim to your #OOTD to add balance. 3) RONNIE FIEG X ASICS "FLAMINGO"
Nothing negative could ever be said about joggers and Asics. Just beautiful! Boston retailer Concepts has teamed up with New Balance to release a hundred dollar bill-inspired pair of kicks. Its multi-colored feature makes pairing easier. #wdywt @cncpts x New Balance 998 - "C-Note"
A classy shoe looks classiest when paired with track pants. This photo is also a great example on how you can make the lower portion of your silhouette pop, and at the same time give your sneakers new life. 7) RONNIE FIEG X PUMA "TOKYO SAKURA PROJECT"
These pink ombre shoes are definitely irresistible to the eyes of women. @ronniefieg x Puma R698 - "Tokyo Sakura Project"
If you're that guy who loves to wear eye-catching footwear, you can't go wrong with these kicks. Vans is definitely a good-looking pair sneakers. The day has finally arrived - the first annual Jogger Pants™ Day. Celebrate the movement today and join us as we wear our Jogger Pants™. Don't forget to tag #JoggerPantsDay. We're also holding a special contest over at @JoggerPants. Head over to check out all the details and rules. Whoever said Chucks are outdated ARE outdated. These shoes are still classics, even if you pair 'em with them newfangled jogger pants. Did we save the last spot for the best? We'll let you decide about that but this one is definitely our favorite because Jordans always look hot. While J7s seem to be the flavor of the season, the 3 happens to be a constant favorite. LOOK: Would You Buy Floyd Mayweather's Official Kicks?